When my son was in Junior High he was taking Family Consumer Science. He wanted to make a pair of boxer shorts at home. I had a sewing machine (not a Bernina), but had rarely used it in the 25 years I had it. I gave him the instruction manual and told him Good Luck. When he went to use it the insides broke apart and it rattled. I took it in to be fixed. He started to sew again and it broke again. I got disgusted and threw it away. I thought I should have some sort of sewing machine in case I needed to mend something. My son said “Mom you need a Bernina, we have them at school and if they fall off the table they still work”. I didn’t plan to have my sewing machine fall on the floor, but decided to look at Bernina’s. 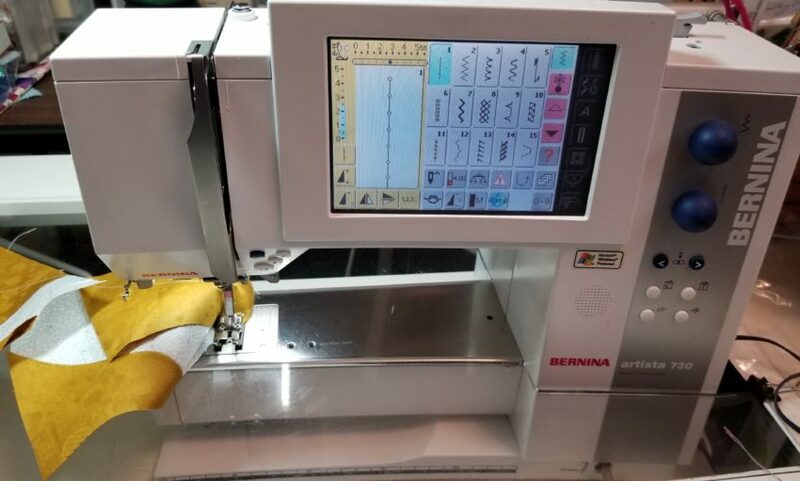 Since I knew nothing about sewing the dials confused me, but the Bernina 135 was computerized with push buttons. If I pushed one it went straight. If I pushed two it zigzagged. IT WAS A MIRACLE. I still didn’t think I should spend the money for it. 9 -11 happened a week later and we were told to go support our country and buy things. I took that from a sign from God I was to get the Bernina. I loved the classes that were included in the purchase. The instructor was very patient. (In fact when I updated a few years later to a 440 she commented how much better I was than the first time I took the class from her. ) I decided to take a quilting class they had. From then on I was hooked. I have surprised many family members on my quilting. My father in law said it best “Honey we love you, but never thought you could do something like this”. I have upgraded 2 more times and have had my 730 for several years. 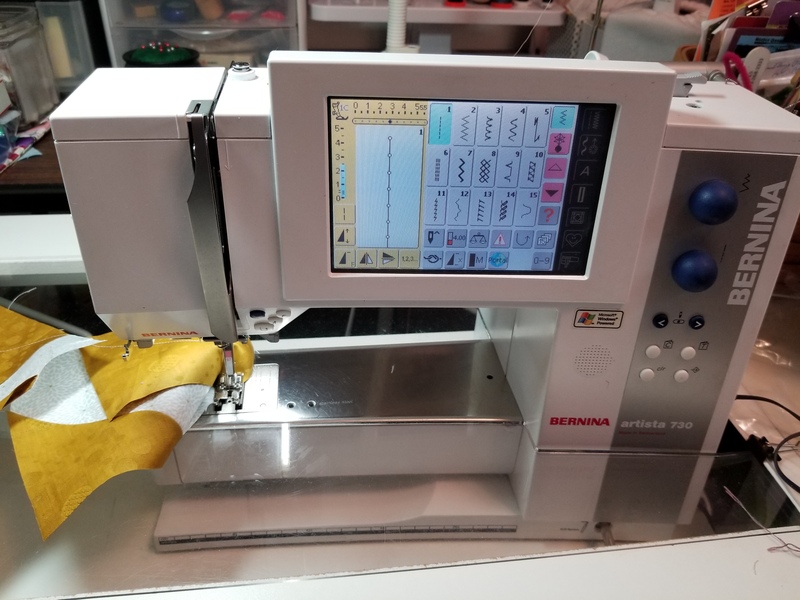 I have tried other machines my friends have , but nothing is better than Bernina. Previous Previous post: What a fun project-so happy with results so far.